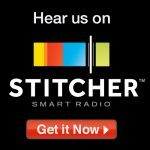 Guest: Mike Tippit, Senior V.P. Lending and Branch Manager of Capital Farm Credit, discusses financing land and improvements. 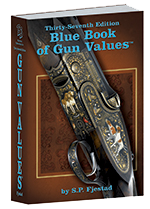 Guest: Billy Carter of Carter’s Country discusses caring for firearms, accessories, and ammunition that may have been damaged by the recent flooding in East Texas, plus what are the current popular sales items. Guest: David Sikes, Outdoor Editor for the Corpus Christi Caller Times, re-caps the aftermath of Hurricane Harvey and the prospects for coastal fishing. Guest: Captain Justin Cooper of Laguna Adventures covers fishing and hunting opportunities on the Upper Laguna Madre. Guest: Carter Smith, Executive Director of the Texas Parks and Wildlife Department, gives his annual update on conditions and issues statewide. Guest: Paul Van Reeden of Unfair Lures covers his outstanding line up, plus introduces their new softbaits and jig heads for 2017. Guest: Calvin Carter, Texas native wildlife and sporting artist discusses his subjects and craft. Guest: Steve Hall, Texas Parks and Wildlife Department Hunter Education Coordinator, outlines who is required to take the course and gives a course breakdown. Guest: Kerry O’ Day of MG Arms Inc. and Texas Outdoors Journal Shooting Editor covers prepping your rifle and shotgun for the upcoming seasons, the popularity of the 6.5 Creedmoor and more. 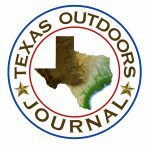 Guest: Nate Skinner, Texas Outdoors Journal Upper Coast Editor, provides a coastal fishery update and hints for preparing for upcoming archery and shotgun seasons.